Allow your kids to get creative at the Creative Clinic Center Studio to take a guided session to learn how to paint Halloween Sugar Skulls! $20/painter covers art supplies, aprons, and drinks and cookies. To learn more information or reserve tickets click here. Come get your Theresienwiese on at Hop Yard 62! Wear your Lederhose or Dirndl for $1 off drafts! Drink a Marzen! Be prepared to do the chicken dance! Individuals wearing the best and most authentic German costumes will win a $10 gift card or a growler! Want to get a workout AND get in the spooky Halloween spirit? 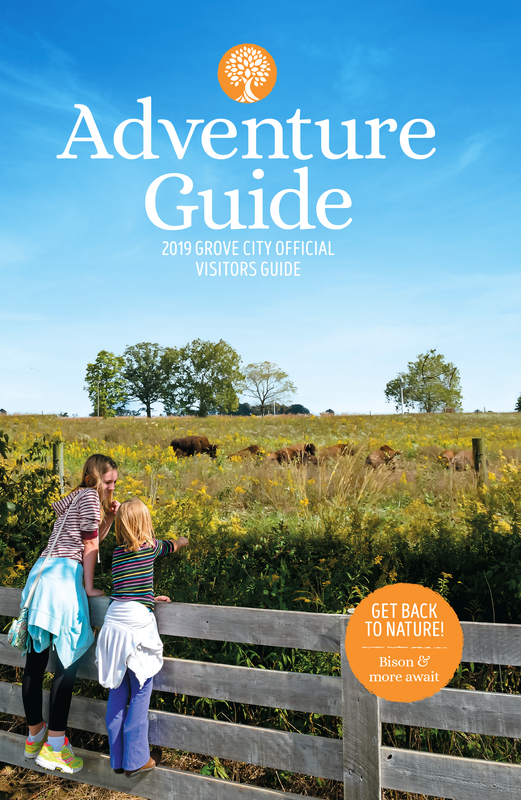 Visit Battelle Darby Creek Metro Park to take a 4-mile off-trail hike to prehistoric Indian and pioneer burial grounds. Free for all ages. Don’t forget to include the family pooch in the seasonal fun. Bow Wow on Broadway offers a free pet psychic, free face painting, and snacks for humans! Dress your dog in a costume and walk down Broadway to the Lollipop Stop at 3:30pm for a treat. Prizes will be awarded for the best costumes at 4pm at Scruffy to Fluffy. Donations accepted for the Dog Foundation. A fun, annual alternative to traditional trick-or-treat in the historic Grove City Town Center. Bring your children in-costume and safely collect candy and other goodies from area businesses and civic organizations. Be sure to stop by our table to pick-up the winning postcards from our Budding Artist Postcard Coloring Contest, one of the winners features a rendition of Boo on Broadway! We know what it is like to have food allergies, so we will also have jumping spiders and glow-in-the-dark eyeballs for the boys and ghouls instead of candy. Traditional door-to-door trick-or-treating, is in conjunction with other central Ohio communities. Residents wishing to participate should leave a porch light on; all others should leave their porches dark. On your way to Boo on Broadway? Stop in the library for a surprise family-friendly Halloween movie night! For even more Halloween fun, go to the Grove City library to enjoy Halloween crafts, activities, snacks and fun in the Youth Services Department all weekend long.